Every board is unique with different design requirements and turn times. 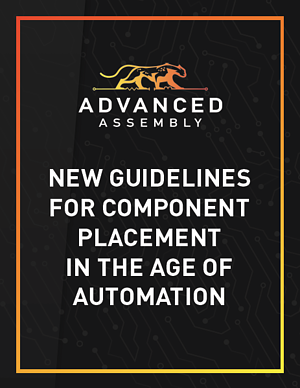 In this article, learn some of the basic guidelines for component placement that will help you create professional PCBs while avoiding common errors that cause delays in fabrication and assembly in the age of automation. Interested in more information about components? Read "Getting Smart with Components: A Complete Guide."